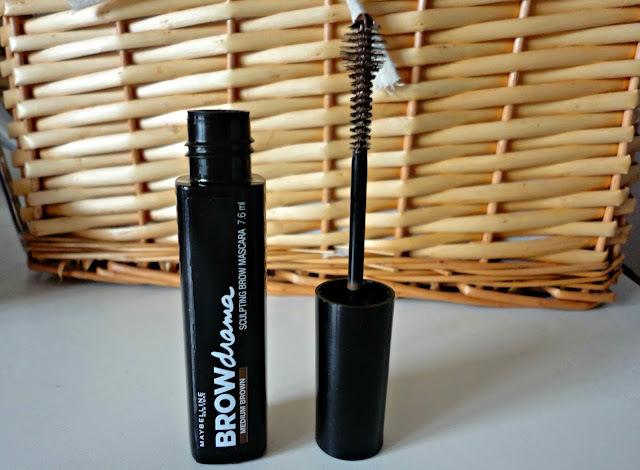 It didn't take me long to get caught up in the 'brow mascara' hype when Maybelline brought out their Brow Drama range. I decided on the 'medium brown' shade because although I'm blonde, my brows are fairly dark so I thought this would be the best one to go for! And I have to say, I've really noticed the difference since I've started using it. I start by brushing through my brows and filling them in with MAC 'Omega'. I've been using this since January and it's my absolute favourite thing to fill my brows in with! Definite recommendation for any blondes looking for a non-red eyebrow colour. I then brush the 'Brow Drama' through it and it just sets it all in place, whilst adding a subtle colour. There are currently 3 shades available at Boots but I think there's one for everyone! ps. sorry posting has been all over the place the past couple of months! Resolving to get back on track this month! I posted about this a while ago and was unsure about it, but the more I've used it the more it's grown on me! It's definitely good for tinting your brows, but it's just not the wow-factor brow product I'm looking for. Great review!